Cancer, by definition, is an uncontrolled division of cells within the body that can lead to the growth of additional cells, known as tumors. 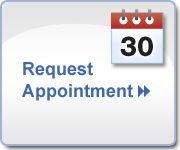 If you or someone that you care about has been diagnosed with cancer of the foot or ankle, you can make an appointment to see our team at Mill Creek Foot and Ankle Clinic. We will be happy to set you up with a consultation so that we can work on a professional foot and ankle cancer treatment in Mill Creek to get you on a path for healing. Certain types of cancer can begin to develop in the ankles and feet. A lot of the cancers that you will find in the feet will be related to skin and bone. These diseases can easily begin in the foot and then make their way through to other areas of the body, which is why it is so important that you see your doctor on a regular basis for screening. Luckily, there are a lot of different treatment options that you can try for cancer of the feet. We will be happy to talk with you about your options in radiation, surgery and even changing up your dietary intake and lifestyle to give your body the power that it needs to heal properly. If you are looking for help with foot and ankle cancer treatment in Mill Creek, you can call Mill Creek Foot and Ankle Clinic at (425)482-6663 for a consultation. We look forward to meeting with you and starting in on the customization of your treatment plan.